Taking care of our teeth ensures that we will have beautiful, healthy smiles for a longer period of time. However, there may be times when our dental health suffers for various reasons, and tooth loss may be the result. What do you do when you only have a few teeth left, with most of these teeth about to fall out well? There is no need to just wait for the inevitable to happen, and then accept that you are destined to a life without teeth. You can take charge of the situation and fight against long-term missing teeth problems, with the help of dental implants. Dental implants are inserted into the jawbone to replace the function of lost tooth roots, to maintain the healthy structure of the bone. The implants are then attached to permanent teeth replacements to restore the normal function and aesthetics of the smile. If you only have a few remaining teeth in your mouth, you can turn to a dental implants treatment at Life Dental Implants to fully restore your smile. You can vastly improve the appearance and function of your smile with an implant treatment. The few remaining failing teeth can be removed within the same day that the dental implants are embedded into your jawbone using a minimally-invasive procedure. 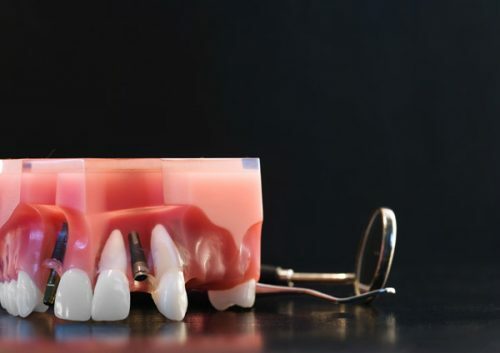 During the same day, the teeth restoration such as a fixed dental bridge will be connected to the implants so you can fully enjoy the benefits of the implant treatment without waiting for weeks while the implants heal. Your smile will be transformed from an unhealthy one with only a few failing teeth remaining in the morning – to a complete, dazzlingly beautiful smile before the day ends!